In September 2017, Greenland International Consulting Ltd. (GREENLAND®) completed the next evolution of “The Healthy River Ecosystem AssessmenT System” (aka THREATS™). The development of this Internet open data and open source GIS platform began less than a year ago. It was also inspired from research funded by the Canadian Water Network and prototype development. Thereafter, GREENLAND® secured source code / development rights and initiated the latest platform. GREENLAND® sincerely thanks the Government of Canada and the National Research Council of Canada Industrial Research Assistance Program (NRC - IRAP) for support in developing this version of THREATS™. The platform includes a cumulative effects assessment and adaptive management focus and can be used to develop related policies. THREATS™ can serve as a cost-effective tool for watershed planning, land use planning and help researchers at colleges and universities. THREATS™ can be customized to include client proprietary databases and address specific stakeholder / geographic needs of Indigenous communities, government agencies and resource industries. Further development phases will be initiated this year for other Canadian regions and export (global market) opportunities, as well as linking western-science with Indigenous knowledge to address cumulative basin impacts and climate change concerns. Real-time ability to support a tier transition / triggers exceedance management approach, while also being able to support proactive risk mitigation practices and procedures. 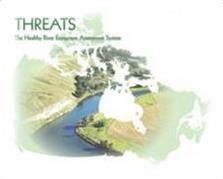 For more information about THREATS™, licensing details or participating in a future webinar demonstration, please contact Greenland.THREATS@grnland.com. We would also welcome opportunities to further develop THREATS™ for specific client needs and with other teams that have complimentary information technology services.